So many people today are considering taking online college classes, but they are not sure if this is the right format for them. Others have heard great stories about a parent taking time away from work to care for a young child until he or she starts elementary school, and earning a college degree from home during that time. There are stories about the busy professionals who work 50 or 60 hours a week and still found time to earn a degree in the early morning, late evening and weekend hours. There are so many stories like this that have probably turned you on to the idea of getting your degree from home, too, but it makes sense that you would want to know what the classes are like before you apply. 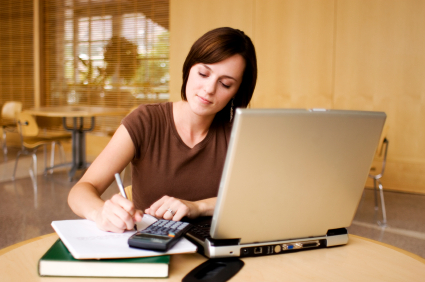 Online college classes can be as different in their format as live classes. If you have taken even a few live college courses, you know that some professors will weigh your grade entirely on attendance and three or four papers written over the semester while others will offer a more traditional grading system based on homework assignments, quizzes, exams and a few papers. Most courses taken online are the same, however, in that you must be able to commit to attending the class online, typically through logging in and participating in online chat groups or forums for that class, listening to online video lectures and more, for a certain number of hours per week. You will log in to the class remotely and your virtual attendance and participation will be monitored. While you can take your class any time you want, you generally need to stay caught up with the class by attending so many hours during the week. So while online college classes offer some flexibility by not requiring you to attend a live classroom setting two or three times per week at a scheduled time, you do still need to put forth the time to not just attend the class but to also do the required reading, writing papers and so forth. Click Here For Online College Classes!